Renae joined our firm as a Client Coordinator in March of 2017. She has a Bachelor’s degree in Business Administration with a minor in Management and Accounting. She graduated in 2006 from Northwood University. 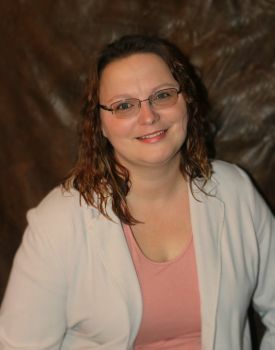 Renae spent 9 years working at the Clare County Veteran Service Office, 2 years working at the Clare County Sheriffs department, and 2 years at Michigan Works Region 7b under NEMCSA before joining us here at Kerr Law Firm, PLLC. She has taken on the task of Settlement Coordinator and has gained expertise in the areas of trust administration and Probate. Renae has seen first hand why it is so important to have a plan that works. Renae has been married to her husband, LeeRoy, for 12 years. They have two daughters and two puppies. In her free time she enjoys spending time with family and friends, baking, cooking, and crafting.